DEDICATED GRIND is a motivational based movement/brand. Our goal is to inspire every generation to chase their dreams through motivational gear and positive uplifting. Hard work never goes unnoticed, the GRIND always speaks for itself. My name is Demetrius Jones I’m from LaGrange, GA. I’m a young 28 year old entrepreneur who loves giving back to the community. I graduated from Albany State University where I graduated with a degree in Business and I had a full athletic scholarship for Basketball. 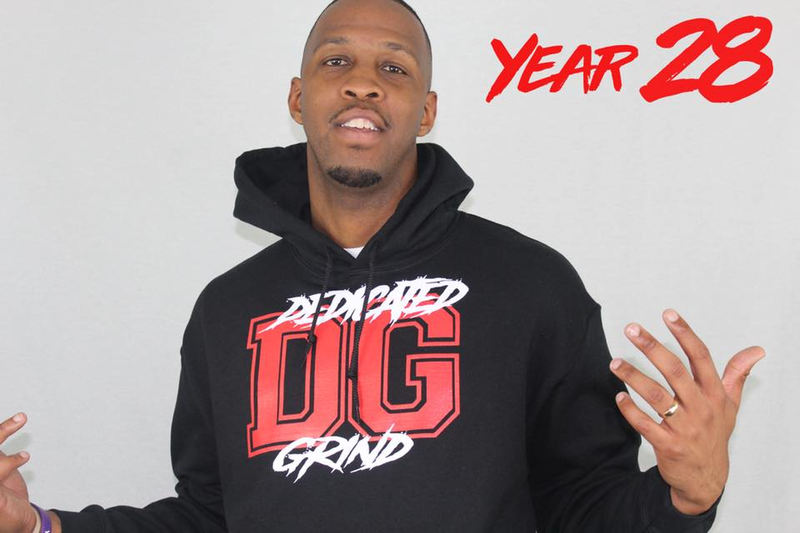 I started my own t-shirt business in 2017 called “DEDICATED GRIND” and I build it off the foundation I was brought up on where you work hard for everything you want and if you stay dedicated to your grind/passion then the hardwork will eventually pay off. My Father and Grandfather were clear example of this growing up, Father drove trucks, did construction, and also was local DJ so he had multiple job that made him success. My Grandpa is a Pastor, Own His own Christian Bookstore for 35+ years, is a licensed brick layer, so this is where the name really came from is my own family because everyday I seen them get up and work multiple jobs without complaining in order to obtain different levels of success. My Clothing Brand is motivational/fashion brand. I just want to remind people to Stay DEDICATED to the grind or passion and that eventually they will get to where they want to be. I always like the term Earned not Given, because nothing in life is free and in order to gain success it takes a lot of hardwork and dedication. I never wanted anything to be given to me unless I earned it! Visit www.DEDICATEDGRIND.org for more information. This entry was posted in Award, celebrity, honoree, Recognition and tagged clothing, DEDICATED GRIND, Demetrius Jones, entrepreneur, ga, georgia, Lagrange, opportunity, success, t shirt, Today's Honoree. Bookmark the permalink.